We have a lot of great classic cars here in Arizona that are reasonably well-maintained and rust-free thanks to the favorable weather in our state. There’s absolutely no salt on the roads that could cause rust in the winter. However, if you have an older, slightly worn classic car, whether bought or inherited, you may want to consider a restoration. 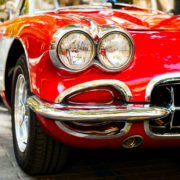 You can do the classic car restoration yourself, or get it done by professionals. Here’s how it works. You may love your car, but you will still want to sell it at some point, so that you can upgrade to a new model. Nothing wrong with that, but if you want to get a good resale value for the car, you should take good care of it. Let’s take a hypothetical scenario as an example: you are planning to sell your car and are looking at getting the best price possible. However, your car has been in an accident in the past. 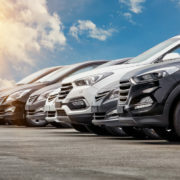 You are uncertain if you should list your car for the price given by Kelley Blue Book, or by comparing prices of similar vehicles to yours, or if the accident record is going negatively impact your car’s resale value. Will an Accident with an Animal Affect your Insurance? Depending on what part of Arizona you’re driving through, you may notice a significant amount of wildlife or wildlife warning signs. 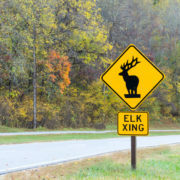 Although Arizona as a whole it not thought of to be an area where an accident with an animal is especially common, you will likely notice a lot of elk, deer and cattle if you are in driving through Northern Arizona. Be especially cautious at dusk, or after dark – this is when wildlife will be the most active. We have a very large elk population; drive slowly and with care in these areas to avoid both the emotional and financial trauma associated with these incidents. http://quecollision.com/wp-content/uploads/2018/03/accident-with-an-animal.jpg 667 1000 GarageFly Digital http://garageflydigital.com/quebedeaux/wp-content/uploads/2016/11/que-logo.png GarageFly Digital2018-03-27 12:37:522018-03-27 12:37:52Will an Accident with an Animal Affect your Insurance? We can all agree that a brand new car is beautiful. The unblemished, freshly-painted metal shine under the sunlight is the pride and joy of every new car owner. 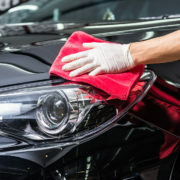 Even used cars, when properly maintained, can seem to be a work of art to the new owner – but something as small as a dent or a scratch on the car can really deflate you. In addition, scratches and dents can do a lot more damage than just be an eyesore. A small ding can lead to a bigger problem if it is not seen by a professional. Here is everything you need to know about dents, dings, and scratches. Have you ever taken your car to a mechanic/dealership and not been too sure what exactly they are saying? In the automotive world this happens quite a lot. Non-car people aren’t that bothered with car terms most of the time, but a lot of them wish they knew more because they do occasionally come in handy. 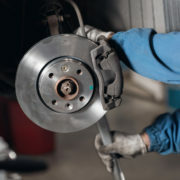 Here are some of the most common auto shop terms it doesn’t hurt to know. One unfortunate aspect of aging in vehicles is the peeling of a once-perfect paint job. 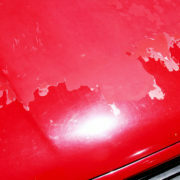 Thankfully, new painting technology prevents most peeling paint problems from happening on newer cars. However, there are still older classic cars from the 60s through now-90s era that are susceptible to the threat of peeling paint due to their age. Parking lot accidents happen all the time. As far as collisions go, a parking lot accident ranks pretty low on the scale. Regardless, they can still be a major nuisance! If you’ve been involved in a parking lot accident, or just want to know more about them in case something like that happens to you, this is the right article. 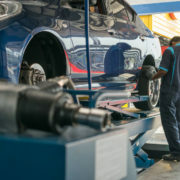 When people take their vehicle in for repair, most will ask for an estimate and then leave it at that, but it may be worth your while to dig a little deeper and inquire about the parts that will be used for your vehicle’s repair.